This is a hard CD to review, simply because it's acoustic album number five from the Throwing Muses legend Kristin. 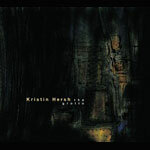 Released alongside the band's eponymous album, this once again showcases Kristin's amazing voice, lyrical skill with its stripped down, acoustic sound. The reason it's difficult is that I've reviewed three of the four acoustic albums that precede this one and it's rather hard not to repeat myself. Aside from "Murder, Misery and then, Goodnight", her album of old folk songs, there all basically the same thing. That's not to say they're boring, they're definitely not when they feature that fabulous voice, it's fairly safe to say that if you like them, you'll like this, if you didn't, you won't. If, of course, you've never heard any of them, and you're a fan of acoustic music played with consummate skill, topped with a great voice singing intense and often aggressive lyrics oh-so-sweetly, then check this out.